UKIP says it plans a “hard and clean” campaign, with a series of events starting in the New Year. Gainsborough UKIP Chairman Howard Thompson has been meeting with county and regional party officials to help plan the election campaign. The constituency party has to formally adopt its election candidate, but front runner is Gainsborough businessman John Saxon, who has passed the national party’s approval process.“The party has to advertise the vacancy. It could go to somebody from outside the area,” he said. 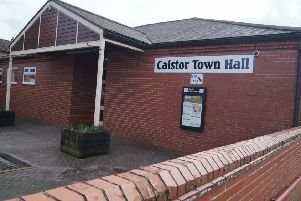 The ‘Hustings’ is planned to take place at Claxby’s Viking Centre on January 17. Howard says the Gainsborough branch plans events starting in the New Year, including organising a public meeting with a senior UKIP figure, a leafletting campaign, and a roadshow around the towns and villages, setting up tables and meeting people. “We are very confident. We are going to fight a very hard and clean campaign,” he told the Rasen Mail.